If you already have a laptop, you can turn into a feature-packed desktop substitute. A laptop docking station helps you extend the connectivity options of your notebook, making it an even more handy machine. With a universal docking station, you can attach your laptop to not only a wide variety of peripherals via the extra USB ports, but you can also hook up additional displays. Ok, that’s not all about laptop docking stations, they come in different styles and varieties. We are going to get to the nitty gritty and help you pick the best from the lot. Just like everything else docks too come in diverse tastes – read types-. Some have sleek designs, while others have designs only its manufacturers like. Okay, enough with the puns, let’s take a look at some of the major categories you will most likely run into. 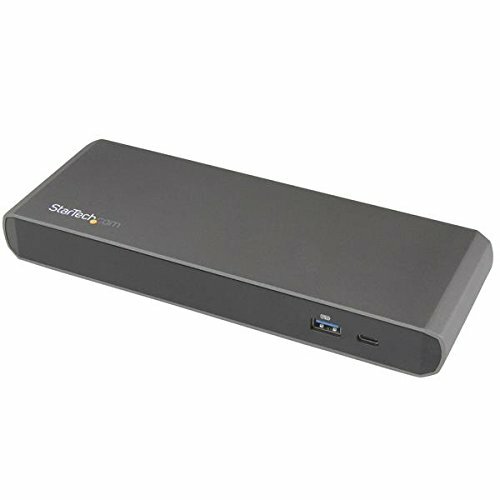 Just like the name suggests, this laptop docking station is tailored down to be portable. In a nutshell, it is designed to be carried around instead of placing it on your desk. Mainly they are intended for people who are always on the move and need extra functionality and power for their laptops. It is more like the complete package. In most cases than not, it includes; a charging system, various ports (Ethernet and video connections) and even extra storage. Additionally, they may also include a figurative kind of dock where your insert your laptop. Well, don’t be scared, a replicator is a kind of a port expander. It is used to expand the functionality of smaller laptops, for instance, an Ultrabook. A replicator somewhat recreates common desktop ports and bequests them to your laptop. Yep, that’s all about replicators they don’t improve the functionality of your laptop, and connectivity choices offered can be limited. The best way to describe a display stand, “a blend between a replicator and a laptop docking station but with added physical support.” A display stand may include a keyboard shelf alongside a raised platform for your laptop. The main idea is just to bring that desktop feeling while you are using your laptop. Some docks do have an additional charging outlet via a priority connector. This will, of course, save you the need to regularly plugging and unplugging your charger. When it comes to connectivity, USB is the standard. USB Type C aims at completely replacing all types of USB on both host and client devices. This is extremely crucial if you are planning on plugging external hard drives or similar options that may have already adopted the USB Type C tech. Wired connection is vital to boosting your network experience. 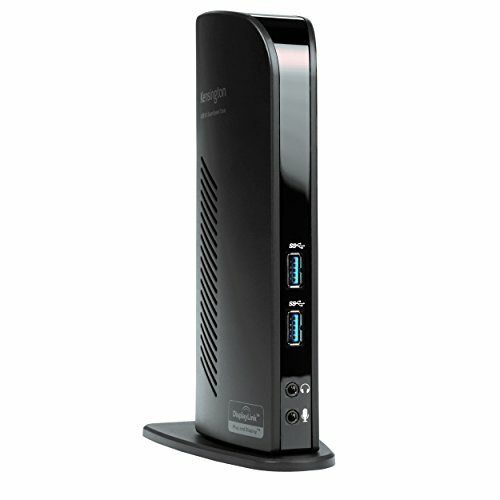 When shopping for a laptop docking station look out for one that has an ethernet port. Avid gamers or college student, for instance, may need to hook up to or more screens when building their gaming setups or researching for assignments. If you are one of them or maybe for another reason feel you may want to add an extra monitor, look out for docks that are compatible with multiple displays. Please pay close attention to the description and ensure that your Laptop and OS is supported. 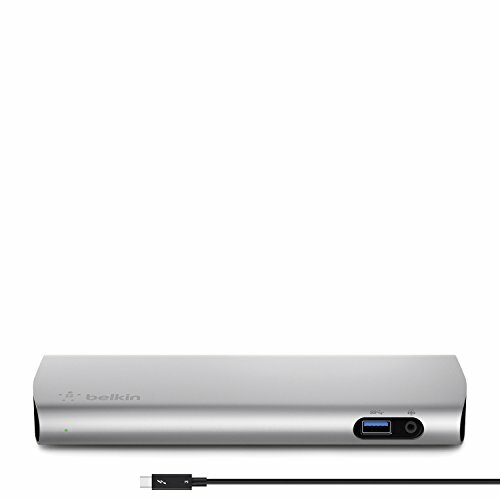 Please Note: Your computer's Thunderbolt 3 ports might not function properly at first, and may require you to get the latest updates for your particular Thunderbolt 3 system. Certain monitors may be limited to 4K at 30Hz when connecting through DisplayPort incl: Dell P2715Q, Viewsonic VX2475Smhl-4K, Philips 288P6LJEB, LG 31MU97C-B, Asus PB287Q (these models will need to be set to 4K at 30Hz) Dell U2413 requires that MST be turned off to support 4K at 60Hz. 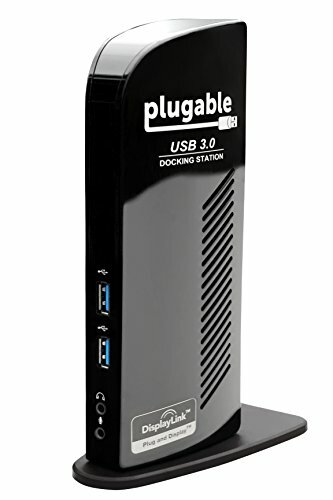 Consolidate devices and connect to all of your peripherals at once via a single USB 3.0 cable. Supports Windows 10, 8.1, 8, 7, & legacy XP systems. Latest software for Mac, Android, Ubuntu on official DisplayLink website. Supports simultaneous HDMI and DVI displays, allowing you to expand your desktop to three monitors. Ethernet port supports 10 / 100 / 1000Mbps speeds. Automatic bandwidth prioritization of connected devices ensures smooth, stable operation, even when every port is full. 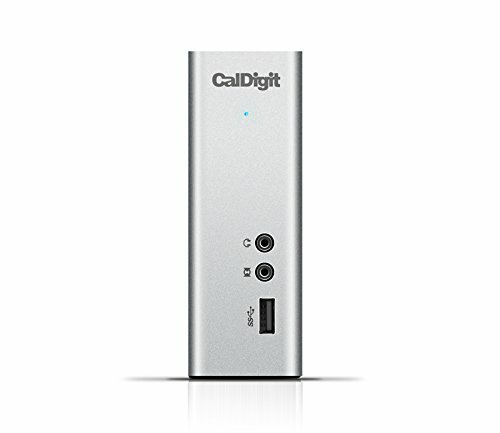 Two USB 3.0 ports (one of which can charge at 5V / 1.5A) give you access to SuperSpeed data transfer rates of up to 5Gbps. Four USB 2.0 ports also available. 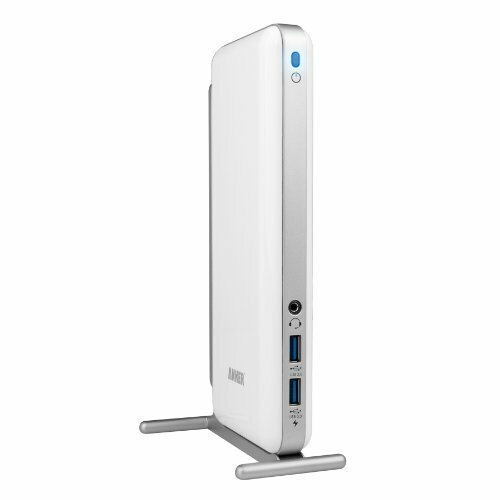 Package includes: Anker USB 3.0 Docking Station, detachable base stand, 19V 2A AC power adapter, USB 3.0 cable, driver CD, user manual, quick installation guide. 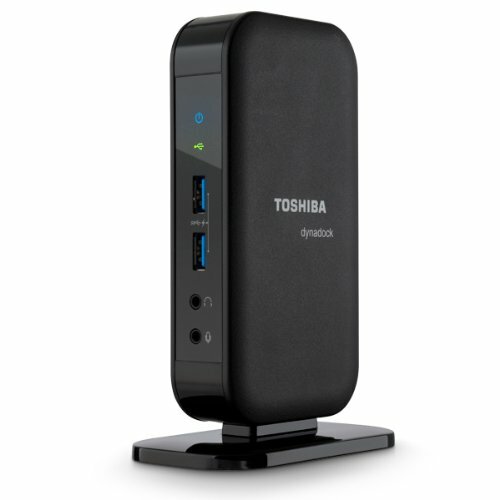 Charge up to 85W and expand your connectivity with a single Thunderbolt cable! 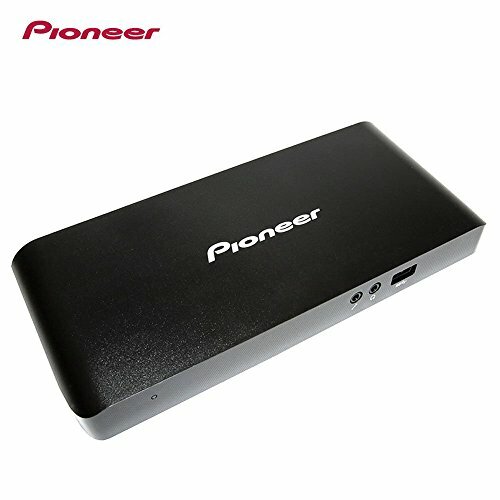 The Pioneer USB-C PD Dock is highly versatile and expandable. 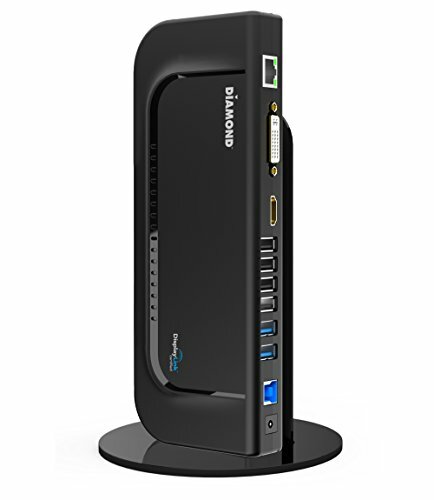 It provides three USB 3.1 Type A ports, two USB 3.1 Type-C ports, HDMI, DisplayPort, Ethernet and audio (input/output) to expand your laptop's connectivity. ULTRA FAST CHARGING: The rear USB-C port of provides 5V/3A (15W) power output charging over, two times faster than a standard USB 3.0 port. The front-facing USB 3.1 port delivers 5V/2.1A (10.5W) stand-alone fast charging, which is 133% faster than a standard USB 3.0 port. Some DisplayPort monitors on the market require extra steps to configure. For details see the Product Description below. Six USB ports in total. Front: Two (2) easy access USB 3.0 "Always On" Sleep & Charge ports to supply power to charge your phone, camera, MP3 player, etc. Back: Four (4) USB 2.0 ports.